Researchers at the University of Helsinki have identified a novel gene defect that causes a hereditary blistering disorder of the skin, epidermolysis bullosa, in dogs. Epidermolysis bullosa, found in the Central Asian Shepherd dog breed, occurs also in humans due to an identical gene found in both canines and humans. Hereditary blistering disorders of the skin are found with varying severity in both humans and animals. A symptom typical of all disease types is fragile skin that is easily damaged, followed by blistering and abrasion of the skin. This is caused by a defect in or deficiency of the structural proteins of the skin. 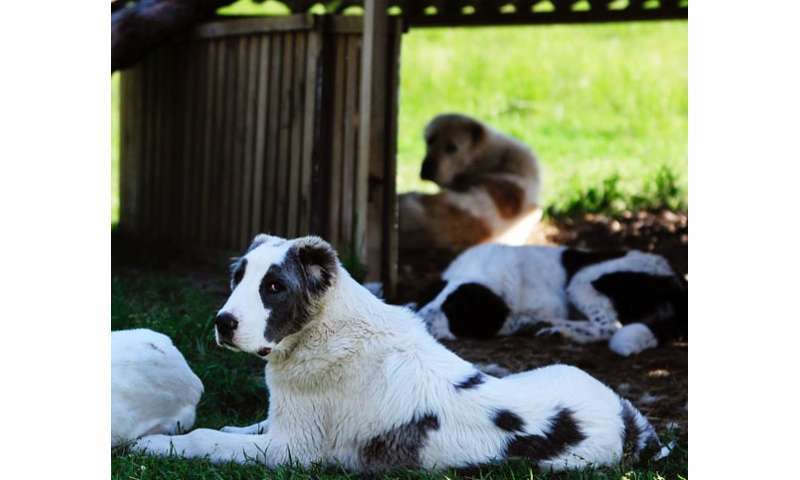 "The project got its start when blistering in the skin and mucosal membranes was detected in different parts of the body in newborn littermates of Central Asian Shepherd dogs. This finding aroused suspicions of a hereditary blistering disorder of the skin," says researcher Marjo Hytönen, a member of the research group led by Professor Hannes Lohi. Pathological tests conducted by the Finnish Food Safety Authority Evira confirmed the diagnosis as epidermolysis bullosa. In genetic studies conducted by gene researchers at the University of Helsinki, the gene defect causing the disease was found in the COL7A1 gene. The gene is responsible for producing collagen, an important component in preserving the elasticity of the skin. This finding helped specify the diagnosis as the dystrophic form of the recessive blistering disorder of the skin known as epidermolysis bullosa. Four different structural types of the disease are known: simplex, junctional, dystrophic and Kindler syndrome. "Immunostaining conducted with skin samples collected from dogs with the disorder proved that the functional form of the protein, or collagen, was absent from the skin of these dogs," says Kati Dillard, a veterinarian at the Finnish Food Safety Authority Evira.